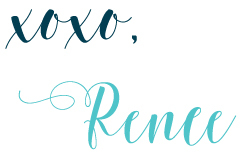 Warning: This is a LONG post, I go into great (probably too much) detail about each winery, what I love, favorite wine or beer, and etc. I was not paid in any way for this post. 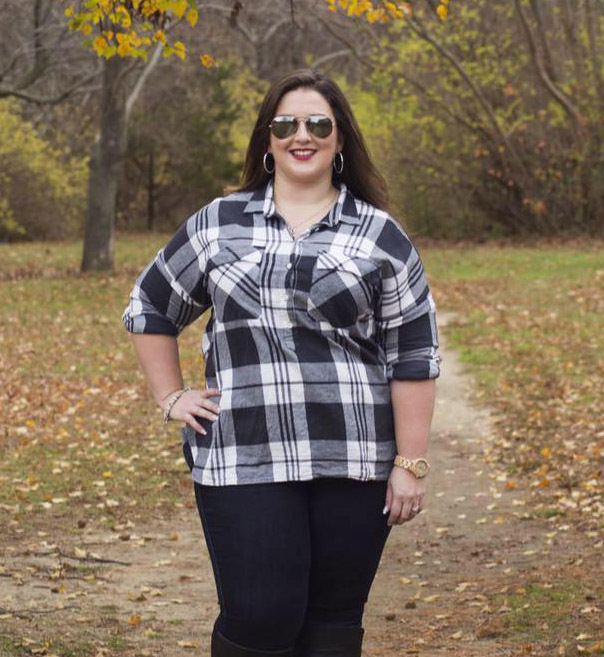 I have just been wanting to do a post like this because I am from Long Island, and we venture out to the North Fork a lot especially in the Spring & Fall (offseason). So if you do plan on coming to Long Island and want to check out the North Fork these are all my favorite places! I’ve been wanting to do this style of post forever. CA and I have made many trips to the North Fork: whether engagement anniversaries, my birthday, and even had my Bachelorette Party! 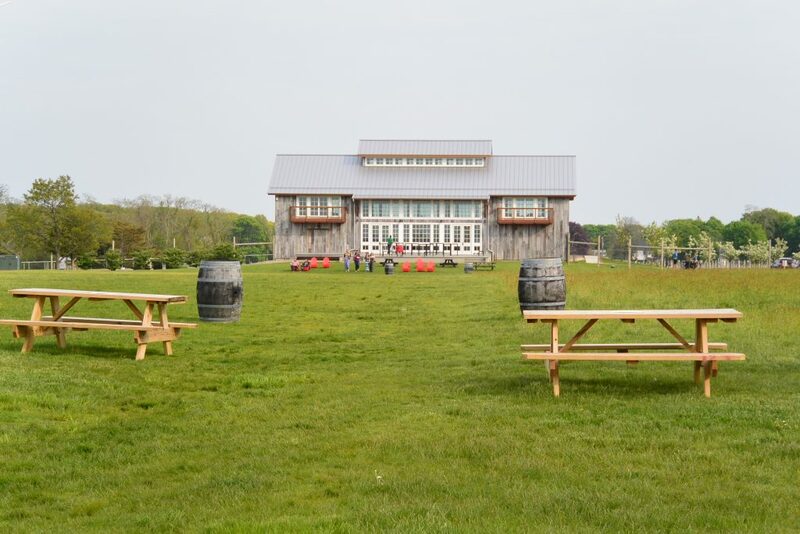 We love the south shore for its beaches, but the North Fork is definitely the place to be for the Wineries and Breweries (plus delicious food!). 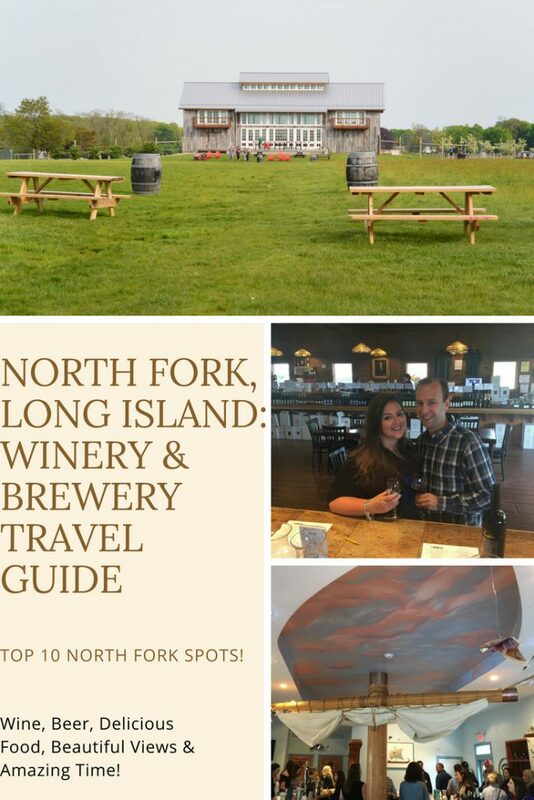 There are so many wineries on the North Fork Wine Trail but I wanted my top places, so if you’re coming to Long Island you’ll know my favorite places! I’ll be doing a food guide also, I already have favorites but I know there are plenty more! CA and I have stayed on the North Fork each May since we got engaged in 2014 and each year we return, we try new places; 3 places are on the newer side that I’ll be mentioning. If you’re in the Northeast (think Connecticut, Massachusetts, Rhode Island, etc. ), getting to the North Fork is really easy! There is a Ferry that takes you from New London, CT to Orient Point which is a 10-minute drive to Greenport which can start your travels on the Wine Trail! Osprey’s Dominion–Hands down my favorite spot of all the wineries. This winery has a large tasting room for inclement weather and a large 4-acre lawn when it’s nice out! It has plenty of picnic tables, outdoor games, and an outdoor gazebo so you don’t need to go inside to grab another glass! You are even allowed to bring your own food (just not in the tasting room) and drinks (no alcohol though), so you can definitely make this a stop to enjoy your lunch at! They also have live music (weather permitting). Favorite Wines: Semi-Dry- Riesling (Great for sweet wine lovers but not too sweet), Sauvignon Blanc (white), Chardonnay (white), and Cabernet Sauvignon (red). 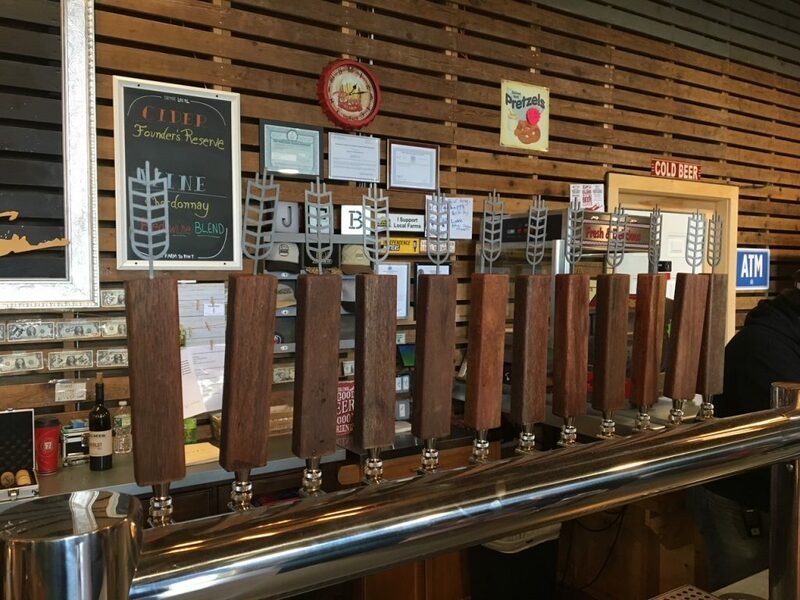 Greenport Harbor Brewing Company– OG Spot from 2014! There are actually two locations, in Greenport- the original location, and a secondary much larger location in Peconic! The secondary location has a huge lawn, a large indoor area both for eating and drinking. I love how they give the beer tasting, it’s on a big whale shape of Long Island, so it’s easy to carry to one of the large farm tables. We didn’t try the food this year, but people had delicious looking selections. I can’t wait to try next year! They recently opened in August 2017, so in 2018 it was our first time there and I loved it! I am not a beer gal BUT this Brewery serves, Hard Cider and Wine! The tasting room is huge, plenty of seating, and bar area to have your tasting. The outside lawn area is large, and perfect for enjoying the weather on a great day. They also have live music (indoors), and the large garage style door opens in the good weather and it’s perfect! The bluff on this property is just amazing, after grabbing a glass of wine or doing a tasting, cross the great lawn and just take in the views. You’re looking at the Long Island Sound, the waterway between Long Island and Connecticut! It’s such a gorgeous view, and this year the sun came out as soon as we were walking to the bluff. The tasting room resembles a modern barn and I fell in love with this spot when we first visited in 2014. We went to this winery for the first time last year and loved it, we went there as our second stop and practically had the place to ourselves. This year, we went later and it was JAM packed with buses and limos. We still had a great time and tasting, just keep that in mind when you visit! They have so much outdoor space and seating, the nice weather would be great for drinking wine outside! Jason’s Vineyard–Lively Staff, Friendly, You’ll Feel at Home here! They have Farm animals!!!! 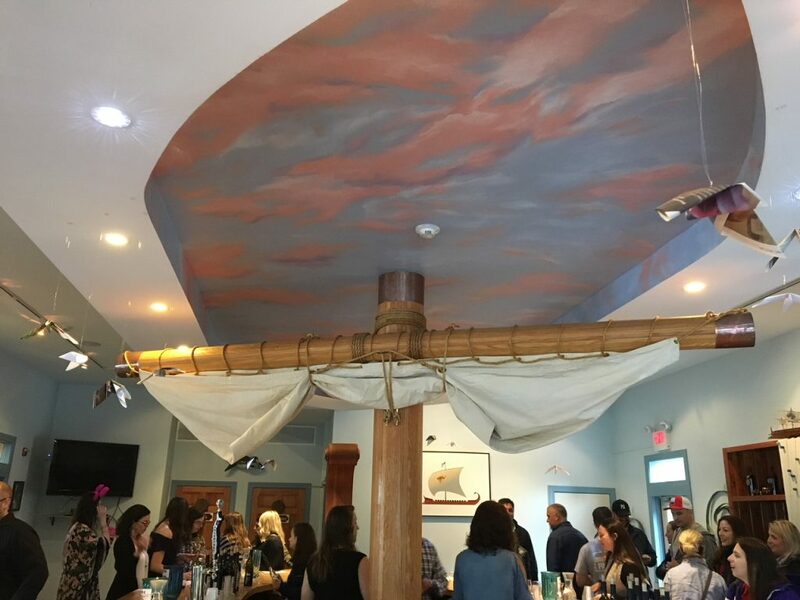 (don’t feed them) The inside bar area is shaped like a ship, and for taking fabulous photos, they have two awesome backdrops in the tasting room! The have seating available on the patio and in the cooler months indoor seating where the beer is fermented (where the beer is made). We had an amazing time here, it was our first time and we’ll be going back for sure. If you go early and are the first customers like we were, they might even cheer your arrival! 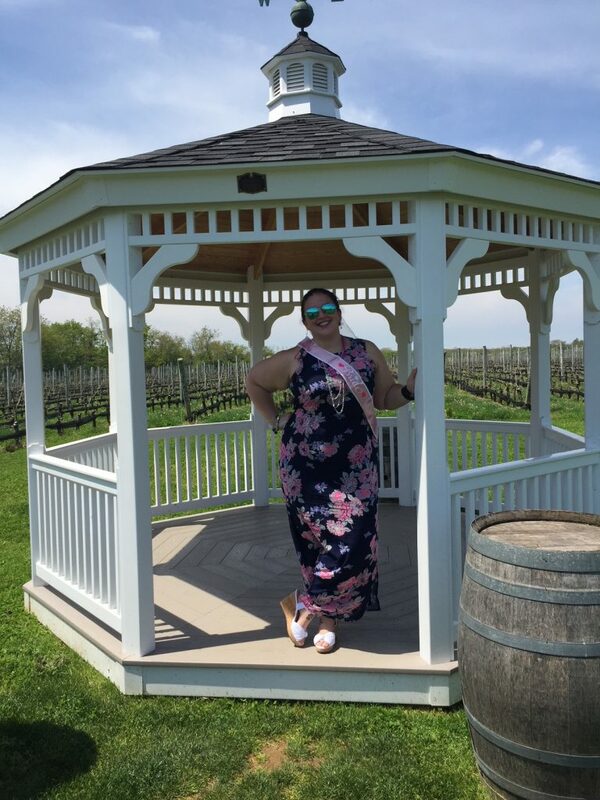 Duck Walk Vineyard–HUGE inside + seating + pretty gazebo for pictures! This was a stop on my bachelorette wine tour! The wine was delicious, and if you do a wine tour that includes lunch, they’ll serve it here! I love the outdoor space, the gazebo is so pretty for taking pictures! Also, the vineyard as the backdrop is so perfect. Pindar, Jason’s and Duck Walk are all owned by the Damiano family. This is the first wine we usually stop at when we go to the North Fork. It can be the first stop of your day! The indoor and outdoor seating is plenty, and so much good food to be had! When we were there last year they had a pretty rose/flower frame you could take photos with (I totally did). Just call ahead if you plan on going there, they have events (usually in the afternoon) so they could close early. Martha Clara Vineyard–Biggest inside rooms! The size of this building is ginormous! They have a huge bar tasting area, a private tasting area (on the second floor), and a table tasting area. Plus, a huge outside table tasting, and lawn with picnic tables. The amount of people this place can hold is huge, must be why they do weddings here! For table tastings, you need a reservation, regardless of the size of your party. We needed one even though it wasn’t busy, it just keeps things moving smoothly. We went here last year for our anniversary and my birthday, and on my birthday we sat outside and loved it! The cheeses are SO different so get your taste buds ready. 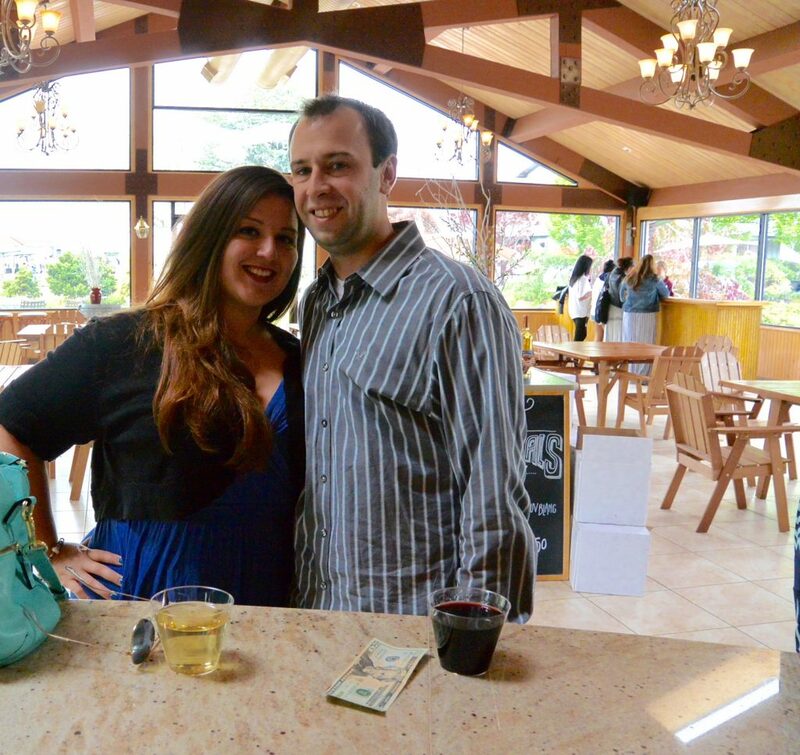 Sannino Vineyard–Small + Perfect for a small group! This was a second year stop and this year we returned! I love sitting outdoors and having the wine + cheese pairing. You’re right next to the vines and you can just enjoy being outdoors. The inside is small but so cozy. If you’re a group of 6 and it’s not nice out, they have a table that’s basically an extension of the tasting room! They also sell wine scented candles that smell delicious! Disclaimer: Most (if not all) wineries + breweries do not allow outside food within their tasting rooms, but allow outside food in the outdoor areas. I mentioned which places above allow outdoor food, but make sure you’re allowed to bring outdoor food it will be posted. But none allow outside alcohol on premises (it needs to stay in your car or whichever transportation you’re taking that day), it’s an NYS law. 1. Heading out for the day or weekend? Call the week you’re going to make sure they’re going to be open (some wineries are venues for parties and weddings)- they also usually have closings on their websites or social media. 2. Even if the weather isn’t looking great still go, the wine tastes just as great, and sometimes you’ll get less of a crowd. But keep in mind that limos and buses will still operate because those are all planned in advance since they all need reservations. 3. That being said, if there are 6 or more going, most locations need advance notice, a quick call ahead can avoid you from being turned around at the door. 4. If you plan on bringing your 4 legged friends, bring a bowl, water, treats, poop bags, and a 6-foot leash (retractable leashes are a big no-no). And double check with the winery/brewery that they still allow dogs. Most of these places do but that can change! 5. Even though Long Island is gorgeous in the summer, the North Fork like the Montauk/Hamptons can get jam-packed with visitors, and locals alike. If you do go during the summer- Sunday is the least busy out of the 2 days. If you can, come in the Spring or Fall, it’s cooler and usually less crowded (and it’s also when we LOVE going).